Yet I passed it by each and many day. I lie and wait your visit. 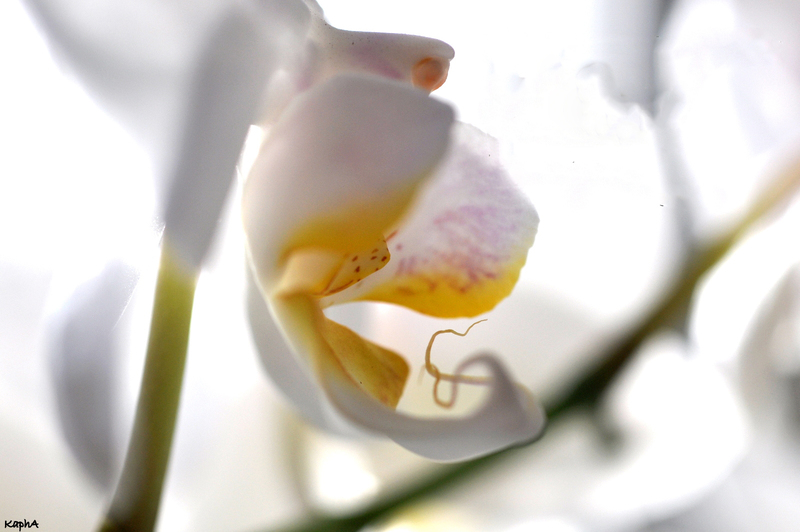 I long your tender tears to drop and endlessly break free. To draw that salted drop of life to me. Just to connect with that which I so often did not see. Lift this weight of soil and stone, that suffocates this man, but wont. Break me free from wood and dress. The stale air keeps coming and never is there any less. An eerie silence I know fills that graveyard up above. And when you come they come to comfort you and to make you leave. Stay please just a second longer. I hear your words. Drop you that final kiss and I will reach it with my clasping stagnant hands of bone. Oh to hold you now or to feel the wind. I long the snail and slug and inevitability to come. I cannot force my head to explode, though I try. Another crunched up, cold, dark, endless day. Yet the ant screams louder than I .
I thump and batter the sides of the coffin, my prison. How shall I die? How can I die? I hear your softness call my name. Go home you say, we shall meet some day. I shall be here for two million years. It’s all ok. I am here but you are there. I much rather it be this way. Go my love and dance with the sun. The universe swung me as a toy. I watched you cry and laugh broke out. I seen the tears and wondered what that’s about. Why you looking for me down there? No permits, or remarked remiss. For once there was a perfect time, filled with perfect, in perfect rhyme. Met with perfect, at the door, dropped it’s bag and cried no more. Yet human man he soon forgot, built his castle, learned to rot. Forgot that perfect, held his hand, tolled the roads, ploughed the land. Then one day when man was old, a moment touched, a silence hold. Of a perfect day, not noticed then, cared then less, cared not again. It’s that call that calls him now. Frets the beads, upon his brow. For perfect is as perfect be, perfect touch, as perfect see. For perfect shouts, so silently. Credits: poem @ justme; Image: CatrinPhoto; All rights reserved. 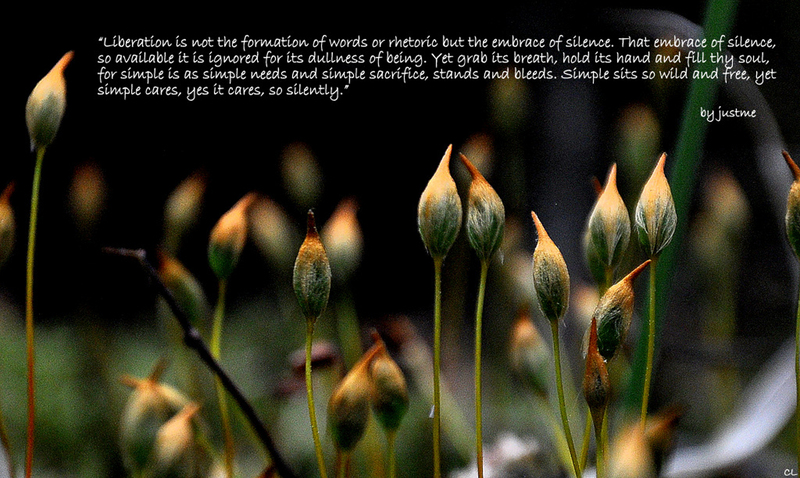 Liberation is not the formation of words or rhetoric but the embracing of silence. That perfect silence, so available it is ignored for its dullness of being. Yet grab its breath, hold it hand and fill thy souls, for simple is as simple needs and simple sacrifice, stands and bleeds. Simple sits so wild and free, yet simple cares, yes it cares, so silently. It is not the dawning of ecstasy we thrive to inhale, it is not the chivalry of being we wish to indulge, it is the paradox of everything we seek. Sadness is our horse, affliction our companion and loneliness our welcomed friend. We seek that which we openly repulse. We seek the same that we may dwell upon the void and perhaps drop naked upon the cloud of nothingness, in the hope we catch a reflection of the real, a murmur of the true and a glimpse of our beginning. Our will to fulfill, our prayer to die and our being to be loved. 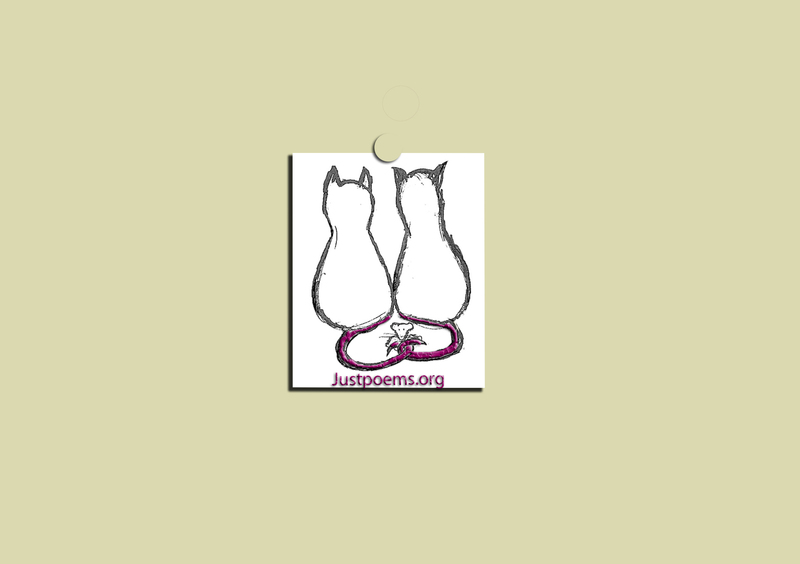 Just Poems remains ad-free and takes over 100 hours/month to create, maintain and edit. If you find joy and value in it, please consider a donation. (Please click on the image below) Thank you !